And now, because of a family curse, she's living one. Doomed to fall asleep for one hundred years on her sixteenth birthday, Briar has woken up in the darkest, most twisted fairy tale she could ever have dreamed of - miles away from the safe, boring small-town life that she has left behind. Briar must fight her way out of the story, but she can't do it alone. She always believed in handsome princes, and now she's met one her only chance is to put her life in his hands, or there will be no happy ever after and no waking up . . .
As a huge fan of Jana Oliver's Demon Trappers series it's no surprise that Briar Rose has been on the top of my wish list ever since I first heard about it. The fact that it's a dark and twisted fairytale retelling of Sleeping Beauty just made me even more curious about it! 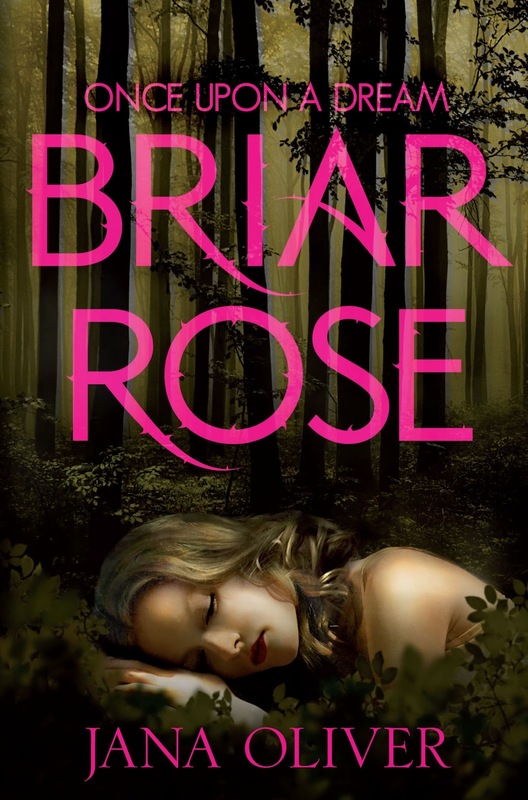 I'm happy to say that while Briar Rose is completely different to the Demon Trapper's series it still has Jana Oliver's addictive writing style and I thoroughly enjoyed it. Briar doesn't realise it but she has been cursed to die on her 16th birthday, her parents have kept the curse a secret from her but they have always been incredibly overprotective of her because of it. She only finds out about the curse the day before her birthday and while she isn't sure whether to believe in it or not Briar does know that isn't ready to die which makes her determined to do whatever it takes to break the curse and get her life back. It isn't going to be easy for her though, she finds herself thrust into a dream world that has taken things from her imagination and twisted them into something evil and frightening. Stuck in a new world where she doesn't understand the rules and has no idea how to escape Briar struggles to figure out who to trust and try and find a way home. I found myself really liking Briar's character, she is quite sweet and innocent but at the same time she has a backbone and is prepared to stand up for herself and those she cares about. She is completely out of her comfort zone but that doesn't stop her trying to help the people she meets and I was happy that she was so level headed about trying to figure things out. What was really nice was that she has supportive friends who are also doing what they can to help her. Briar's best friend Reena was a great character and along with a surprising ally Pat she added a lot of humour to the story. Joshua was incredibly sweet and I liked the way he was willing to put himself in danger to protect Briar. The two of them had been best friends as children before a silly feud between their families pulled them apart. Even though they haven't spoken for years you could tell that they still cared about each other and it was nice to see that bond of friendship rekindled as they spent time together again. The world Jana Oliver has created was a fascinating mix of old and new, in a lot of ways Briar's dream world felt like you had stepped back in time but adding in the strange creatures and weird blend of metal hybrids gave it a strong fantasy feel with just a hint of steampunk. I could happily spend more than one book exploring this world but in a way I'm glad that this story was a stand alone, it's seems so rare to come across a book that isn't part of a series these days and it's nice to get the full resolution to the story by the end of the book. 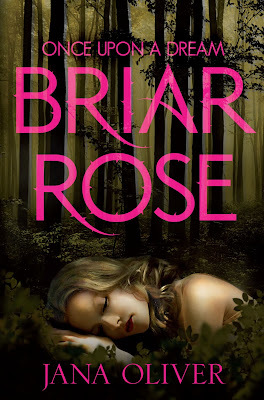 Of course Briar Rose has a strong fairytale feel to it, especially with hints of Sleeping Beauty, but it also reminded me a little of Romeo and Juliet thanks to the feuding families and star crossed lovers. No matter how many stories it reminded me of it still stood out as unique in it's own right though and it's definitely a book I'd be happy to recommend. If you like your fairytales on the dark side and are a fantasy fan then Briar Rose is definitely a book you'll enjoy! I really enjoyed it Jesse! I'd definitely recommend it to fairy tale fans :-) I hope you like it as much as I did!